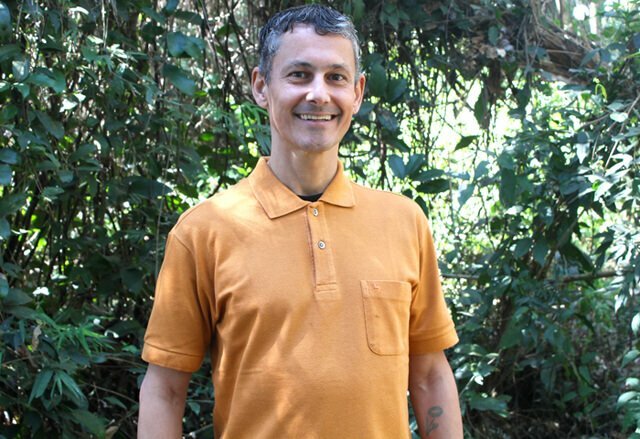 Luis Souza’s raw vegan experience has been so amazing and life-changing that he realizes he can have a bright future. 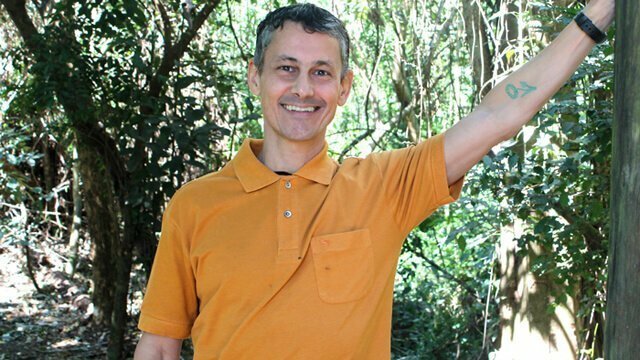 When the 48-year-old from Londrina, Parana, Brazil, started a low-fat raw vegan diet in August 2012 after going raw in October 2011, he said he found the cure for depression and understood he was depressed most of his life without realizing it. Now he feels so great—full of energy and mental clarity—that he wants to share it with the world! 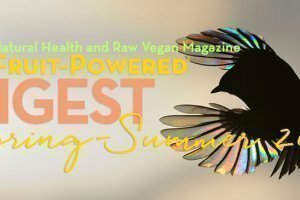 With his former website, RawVeganPower.com, Luis was on a mission to help other raw vegan leaders reach their goals, and his personal goal is to reach 1 million people with the Raw Vegan Power message of health and happiness. Having this mission motivates him to wake up every day and put his knowledge, skills and energy in service for those 1 million people who he doesn’t yet know but are searching for ways to improve their lives and free themselves from the “rat race,” which he thinks, nowadays, could also be well-defined as the “fat race.” He says we have a solution, an exit-door key, with a low-fat raw vegan diet. Luis’ book RAW NOW! : The Best Way to Clear Your Mind and Be Happy focuses on this diet. 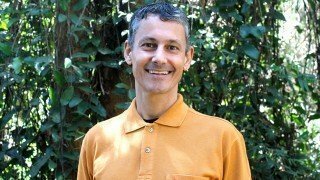 He shares his experiences and how his mind improved on a low-fat raw vegan diet as well as some mental techniques anyone can use to be in the present moment and enjoy a better and more fulfilling life. For me, finding raw food was like a miracle! I was so desperate when I found this diet that now I can feel only gratitude and willingness to share it with everyone! 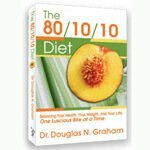 The 80/10/10 Diet by Doug Graham reads like a work of simplicity genius because what he discovered and revealed to the world is something so obvious. 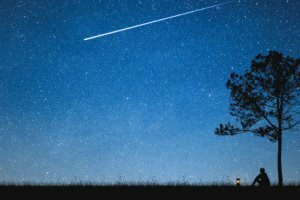 We don’t understand why other people don’t realize without remembering that, some time ago, we were there, too, with difficulties to accept simple and easy solutions for our lives. 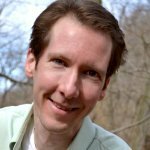 Even though I already was a raw vegan before, in reality it was the 80/10/10 diet that really helped me heal from depression. I’m so grateful to Dr. Doug Graham for establishing those proportions: 80 percent carbohydrates, 10 percent protein and 10 percent fat. 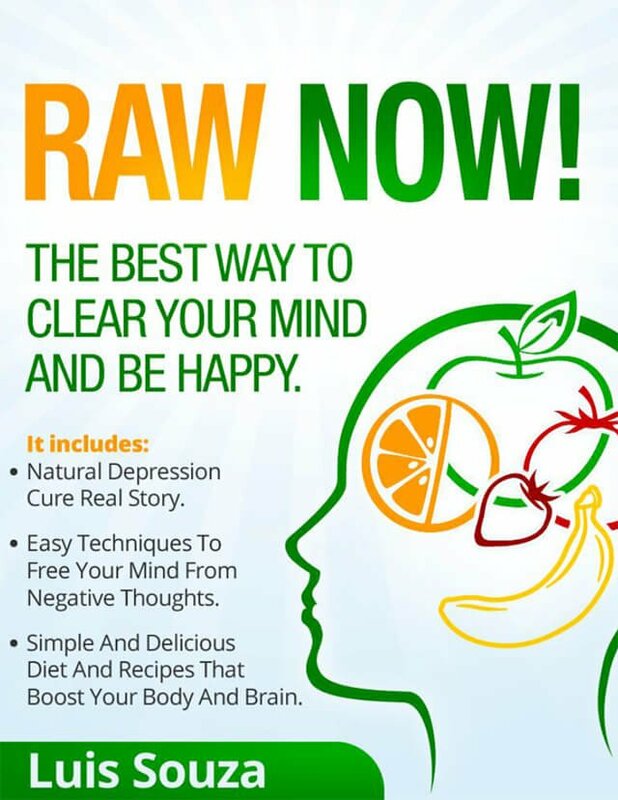 Simple and easy to follow, and I don’t see other raw authors giving these kind of instructions, which seems, to me, very sad, because people tend to give up a raw vegan diet if they are consuming too much fat, for instance. I discovered that depression is just a symptom, at least in my case. I had my personal problems and issues that led me to feel depressed, but now I really see that if my diet was better from the start, when I still was a child, everything could have been much better. I even see that if my father had had the 80/10/10 diet, he and his family could have been much happier without going through so many family fights that I saw during my childhood and after that, too. I see that many people are depressed without realizing it, and they don’t even admit that there is something wrong with them, just as it happened to me, my father and his family. This is an awful situation that we all live in, and I will be more than happy to help change this for future generations. My whole life, I thought I wasn’t OK in many senses. I felt I didn’t fit, I felt I wasn’t good enough. And I was always struggling to be better and improve, without really being able to do it. Now, this is beginning to happen naturally, and I’m loving each moment of my life. It’s so cool! I l love it! 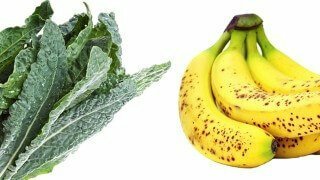 I was amazed to learn that we can make a banana smoothie by just putting five to 10 bananas in a blender with 400 milliliters (14 ounces) of water. Simple, easy and very affordable. Lots of energy and happiness—and a good breakfast! The thing I like best about a low-fat raw food diet is the simplicity and the fact that this is really “fast food.” I love to work and am very focused, so most of the time I like to have fast meals, and I really think that fruits are the fastest foods in the world! Imagine when all those people who go to McDonald’s and its competitors realize that they are actually eating “slow food”—wouldn’t that be fantastic? 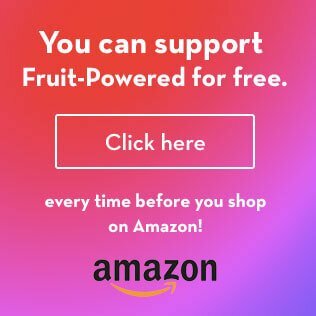 Fruit’s fast in all senses, including digestion, and I love that fact that when I’m still eating an apple, I’m feeling that my brain is being energized. It’s so cool! Fruits are the true “energizers” and “fast foods,” the others are just marketing ideas and lies that many people unfortunately still buy. The fruit that is the easiest and fastest food in the world is bananas! My wife and I buy more than 100 bananas each and every week, and we love them all. The cool thing is that they love us back, too! 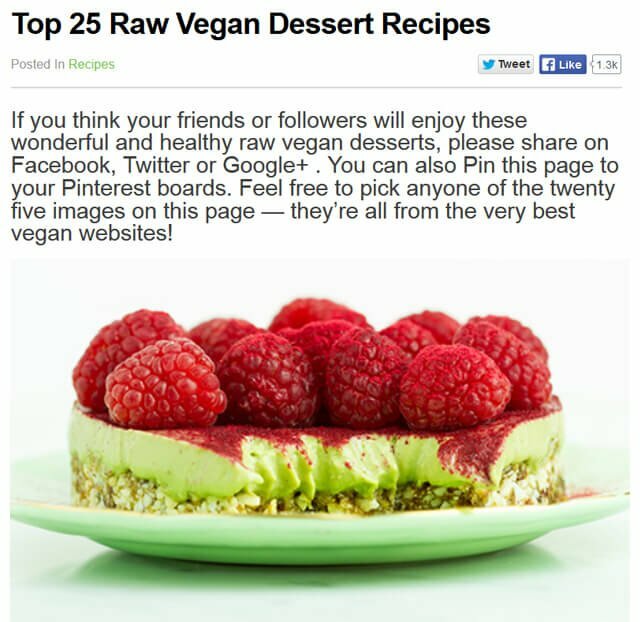 I’m a fan of lists such as top 25 recipes because they make life easier for readers of RawVeganPower.com. People really like to find many recipes already organized in just one place. And it’s also good for the bloggers who are listed because they receive more traffic coming from these lists. They seem to help everyone, and I really like when I see that this is happening! I’m on a mission to spread the raw vegan power message of health and happiness, bringing hope and light to people who are already thinking the way they live is not OK—just like Morpheus searching for Neo in The Matrix. We are here to help people free themselves of so many layers and chains that are still keeping them imprisoned. I think the low-fat raw vegan diet is a very good way to start a huge liberation of millions of lives. Better for each individual life, better for the animals and better for the whole planet, too. We may be touching just the tip of a huge change iceberg here. I’m pretty excited just to imagine how fantastic the future of humanity will be if we can liberate a good number of people! 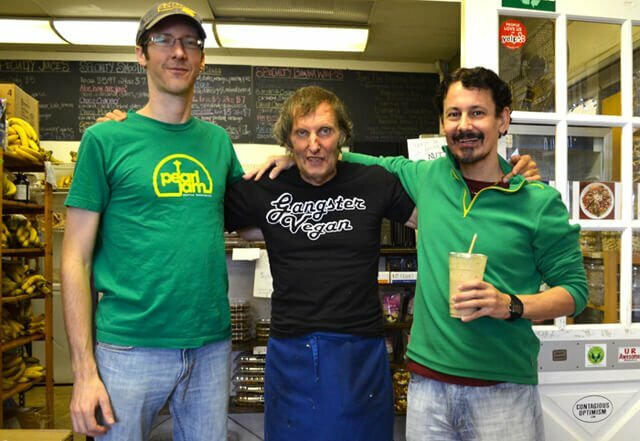 Luis Souza is photographed with Brian Rossiter and Arnold Kauffman at the raw vegan café Arnold’s Way in Lansdale, Pennsylvania, on September 13, 2014. 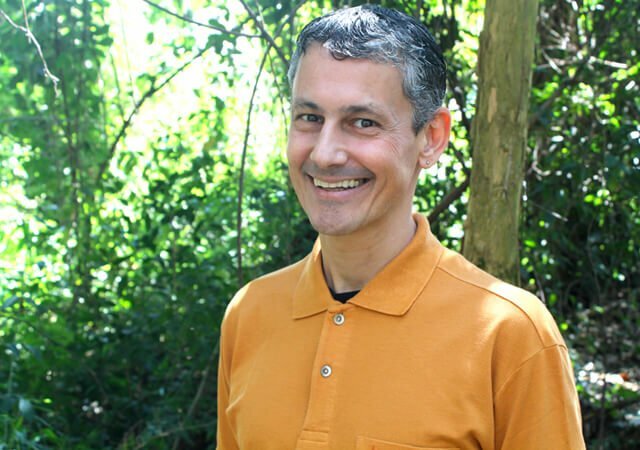 Discover Luis’ Top 5 Tips for transitioning to a raw food diet! Hungry for more? Check out Luis’ Anise Banana Green Smoothie recipe! 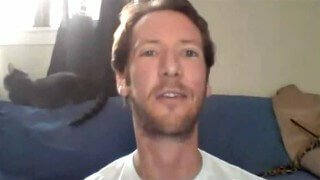 Watch Luis’ interview with Brian Rossiter on Raw Vegan Power! I love the analogy with Morpheus and the Matrix. Great interview.